In our book (pun very much intended), there’s no better combination than a transporting read and a fresh cup of tea! We’ve partnered with Harney & Sons, master tea blenders with a passion for fine teas, to bring you the perfect pairing! A romantic story about finding love even under the most unexpected circumstances, by turns heartbreaking and hopeful, set in the idyllic French countryside and Harney & Sons’ Paris Tea, a fruity black tea with vanilla and caramel flavors, and a hint of lemony Bergamot. 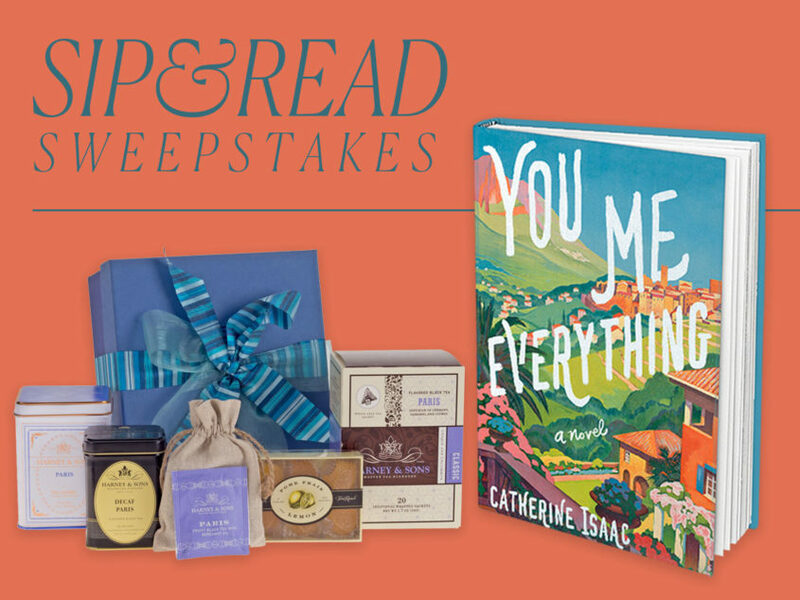 You Me Everything by Catherine Isaac—Jess and her ten-year-old son William set off to spend the summer at Château de Roussignol, deep in the rich, sunlit hills of the south of France, where her ex-boyfriend Adam runs a beautiful hotel. There, Jess has a mission: to make Adam fall in love with his own son. This tender, joyful novel about one woman’s fierce determination to grab hold of the family she has, is a heartwarming story of unconditional love; its challenges, its risks, and most of all, its rewards.